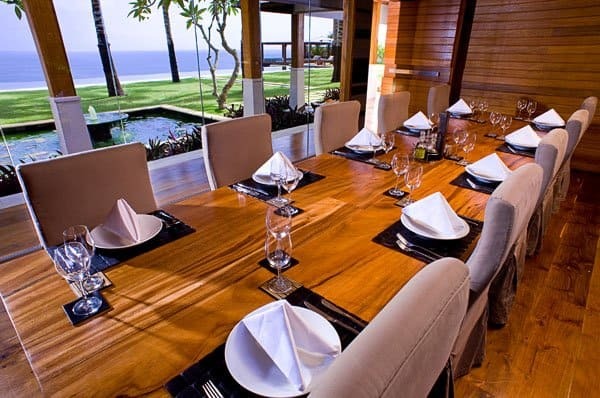 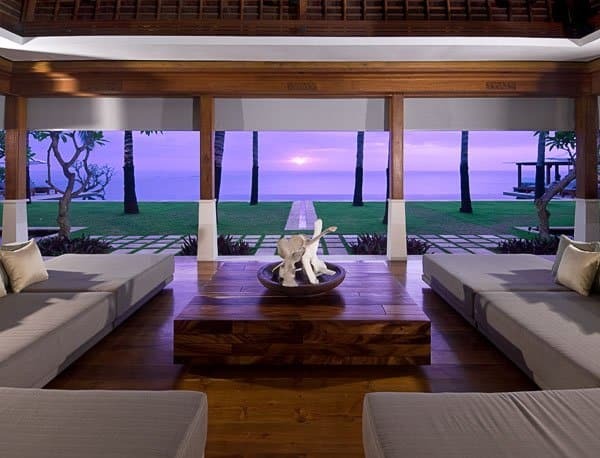 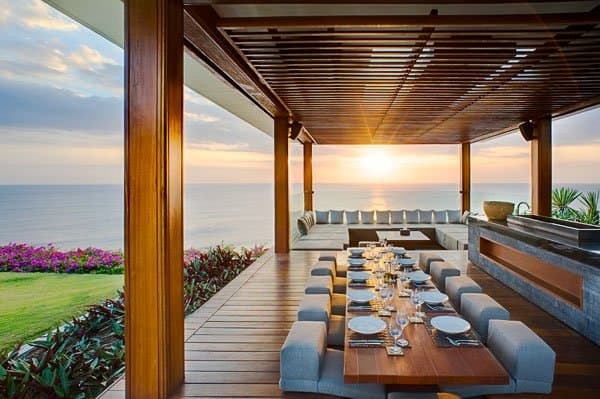 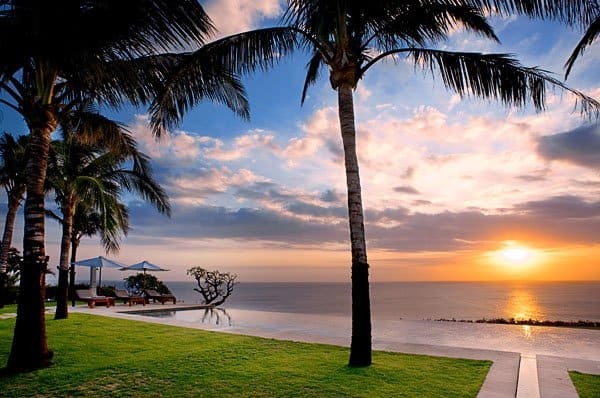 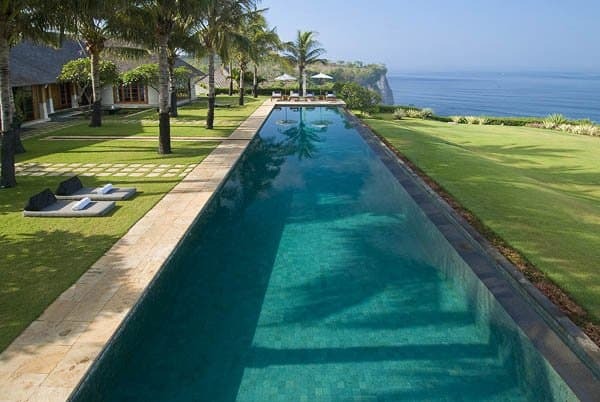 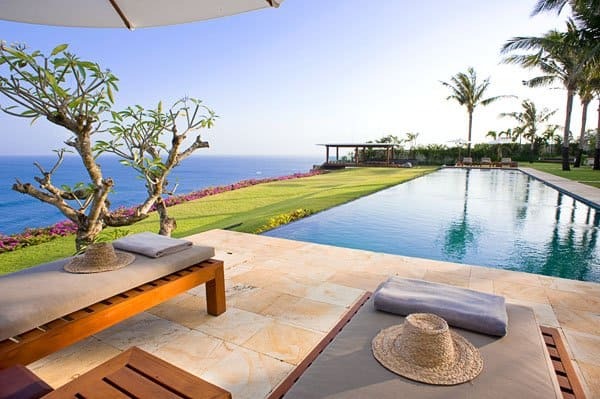 The Istana is located in the Banjar of Suluban in Uluwatu, and rests high atop the peninsula of southeastern Bali, Indonesia. 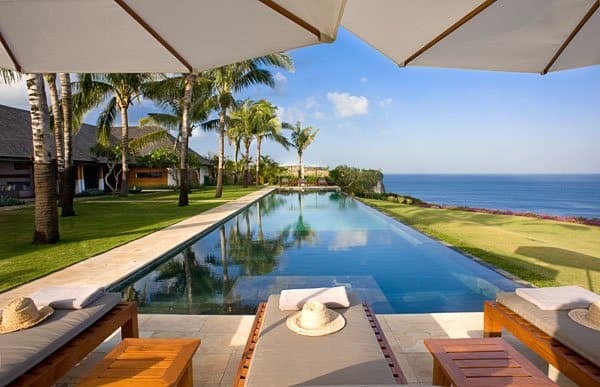 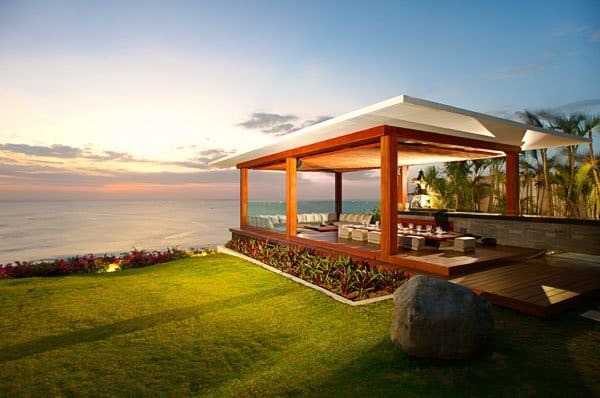 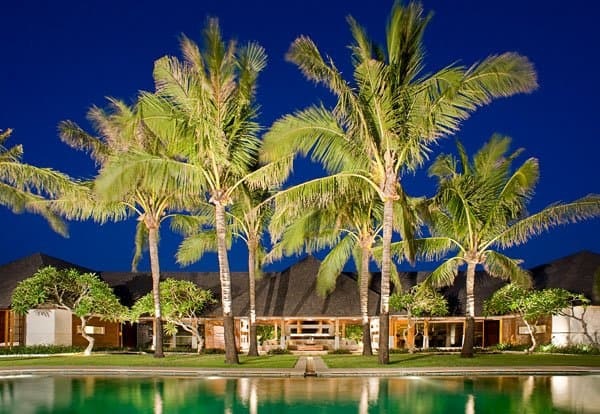 This five-suite estate rests upon 5,200 square meters of prime, cliff top land, 100 meters above, overlooking white sand beaches and a blue lagoon. 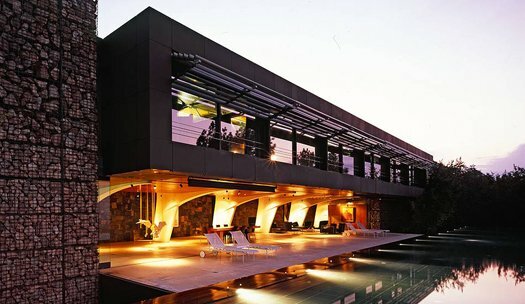 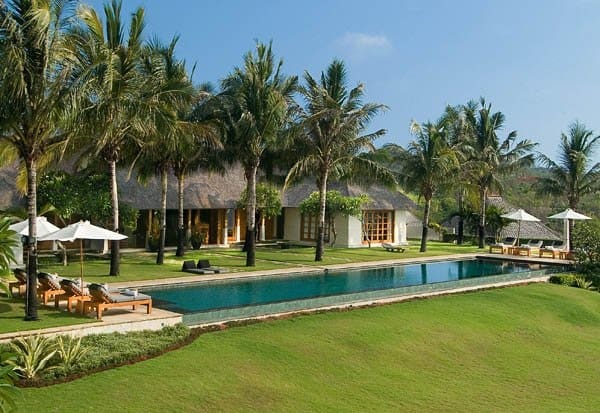 The property is composed of two swimming pools, a relaxation bale, a private guest house (containing the master bedroom), and a main house. 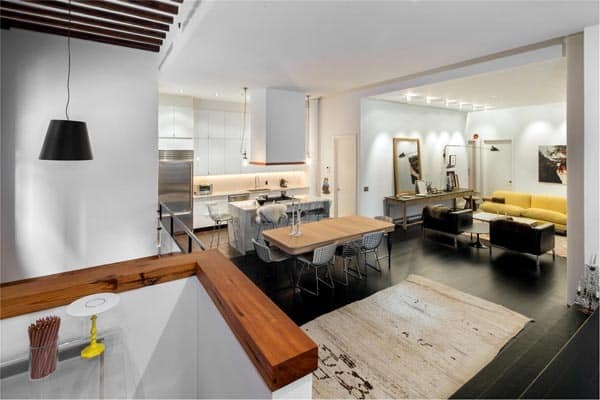 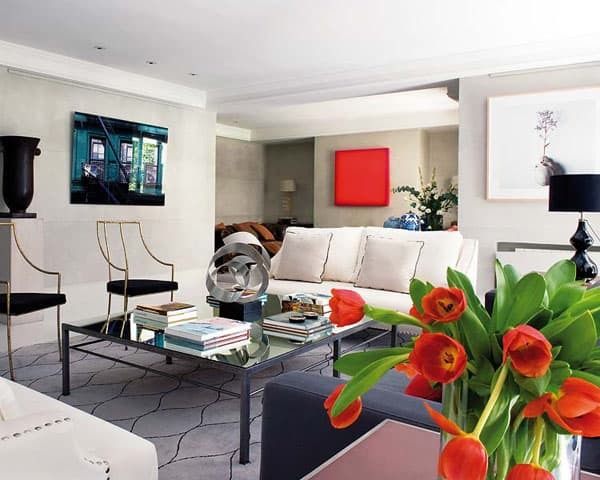 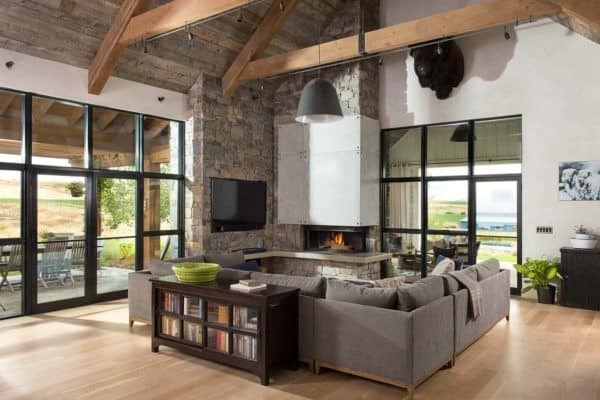 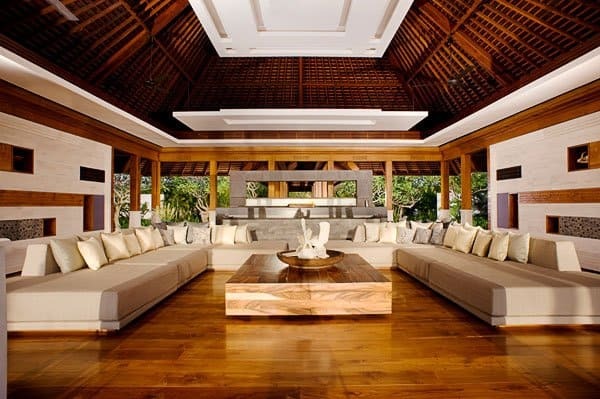 Within the main house are a living room, dining room, entertainment room, and four identical bedroom suites. 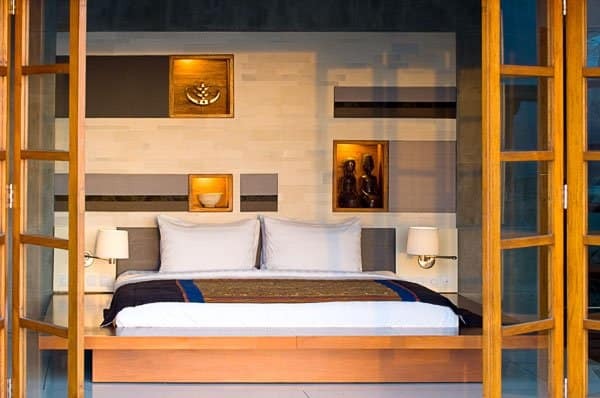 Each bedroom suite entry is decorated with carved limestone blocks representing traditional Ikat weavings from the islands of Flores and Sumba. 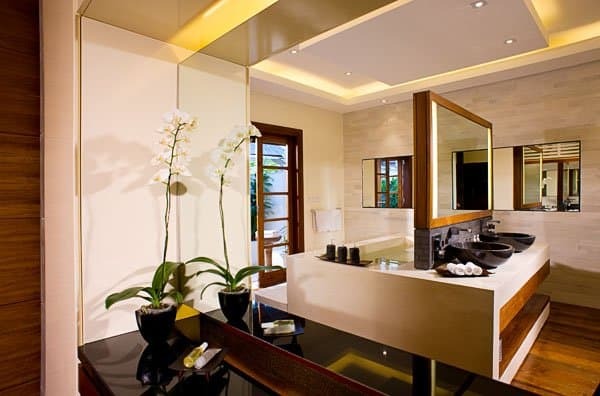 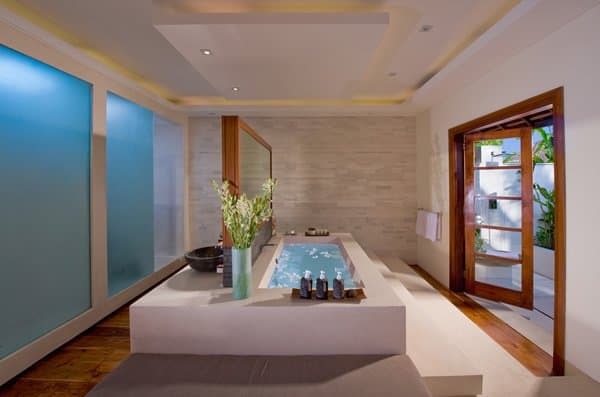 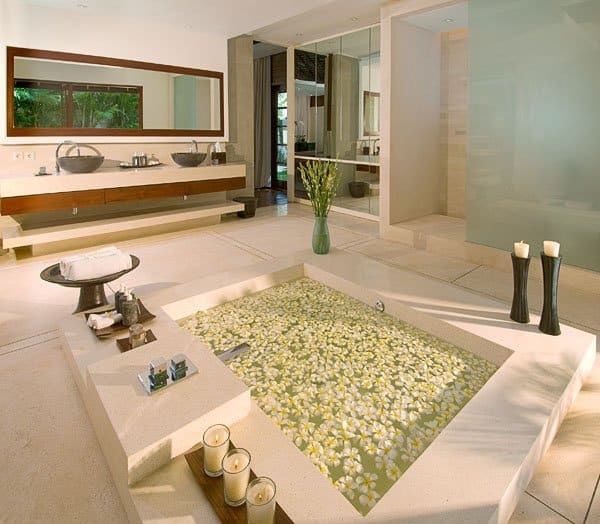 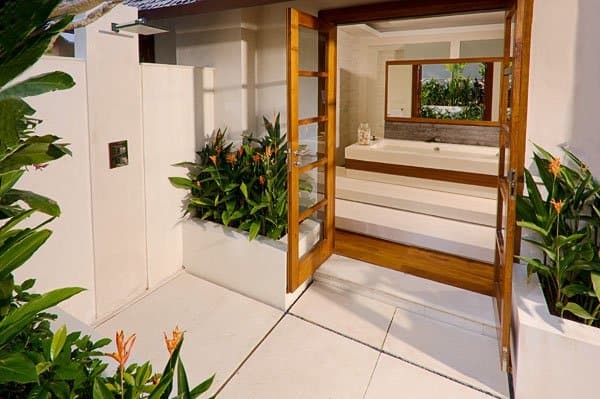 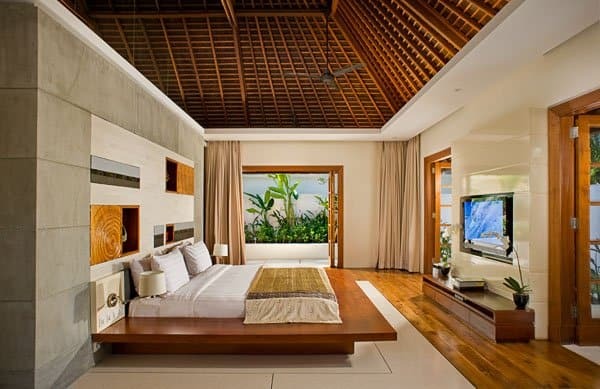 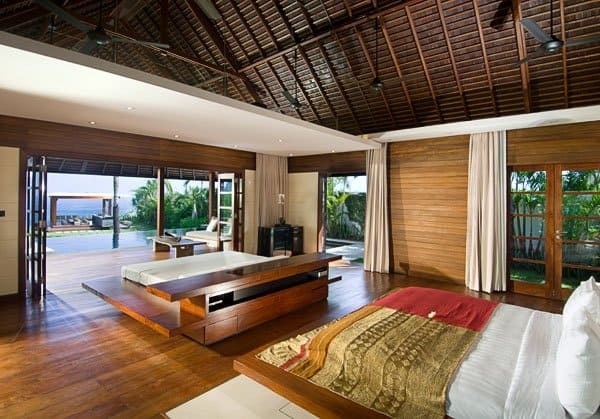 The suites feature indoor and outdoor Bali-style bathrooms. 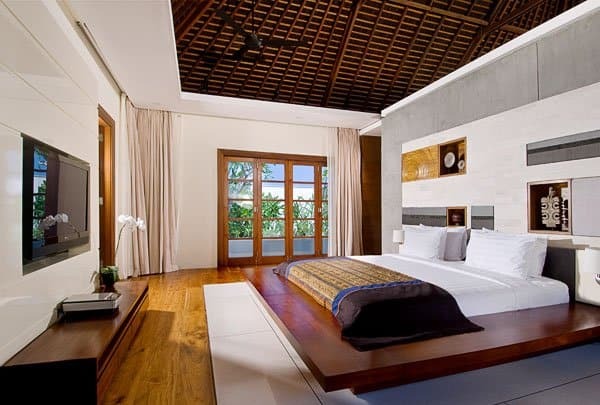 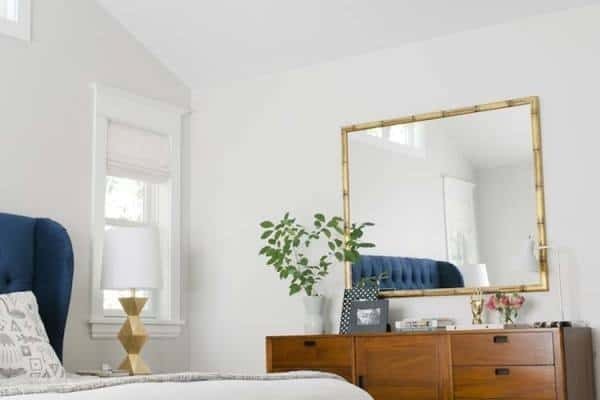 The furniture in the bedrooms was designed especially for The Istana, as were the exquisite lighting fixtures, and are made exclusively of recycled teakwood. 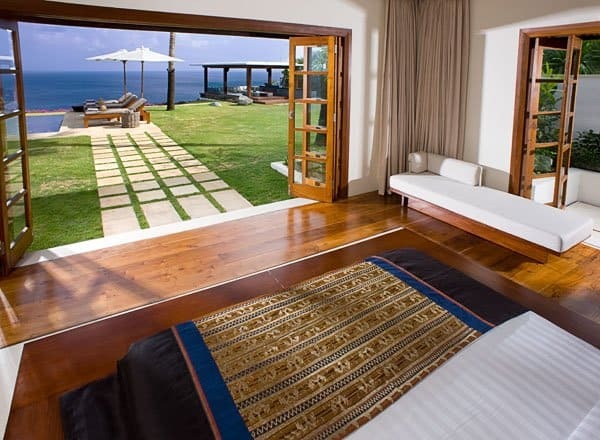 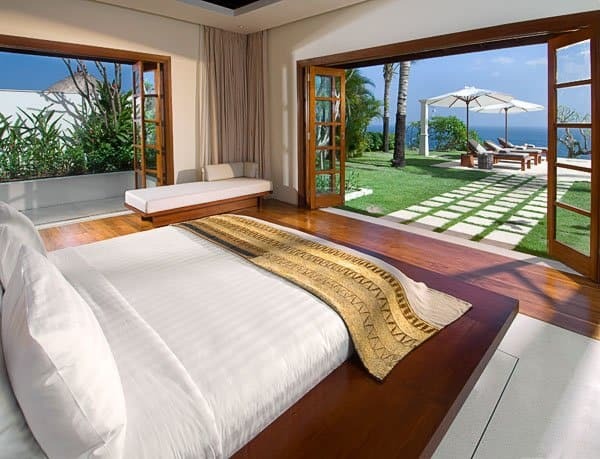 All of the bedrooms are walled on two sides by folding glass doors which open up to the private gardens in the case of the bedrooms facing the entrance of the property, and on the other side which open onto the ocean. 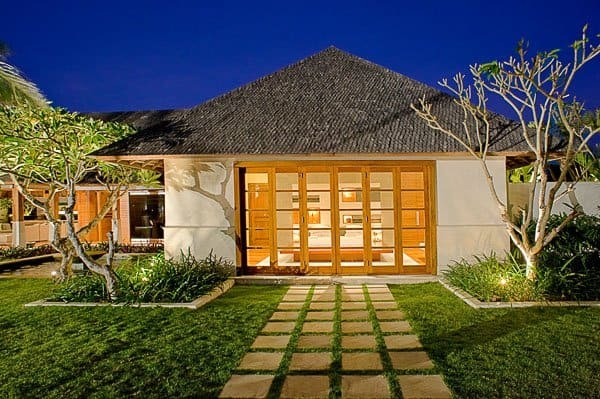 Both of the main house and guest house are single-story and open-air with rich teakwood floors, inspiring a natural ambiance, while maintaining and accentuating the spectacular view. 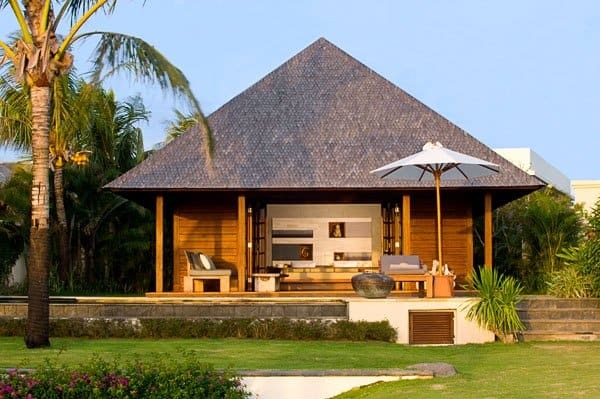 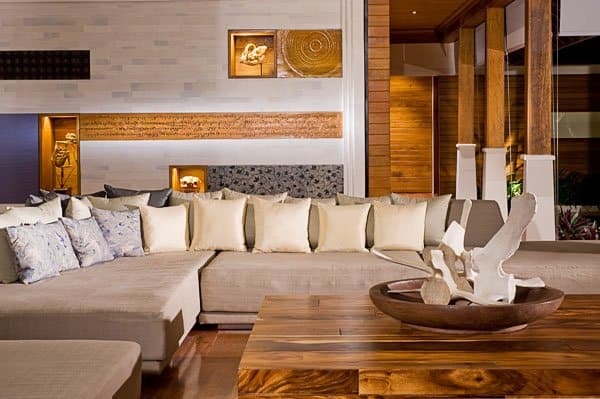 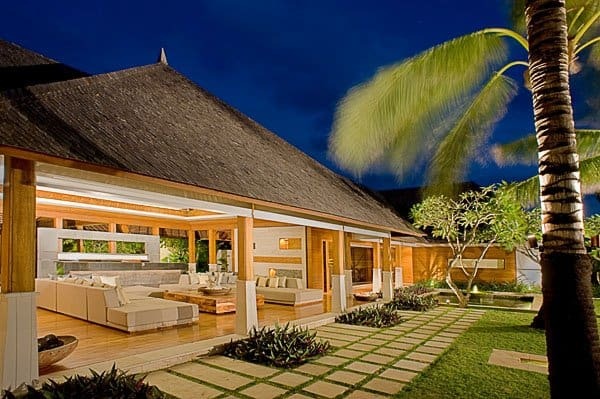 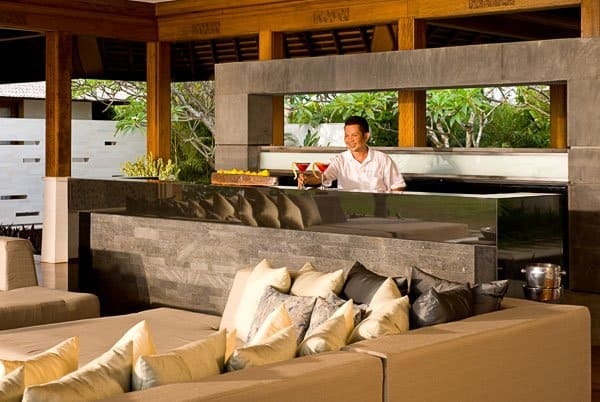 The overall style infuses understated modern architecture and traditional Indonesian detailing, with features that blend Indonesian materials and workmanship. 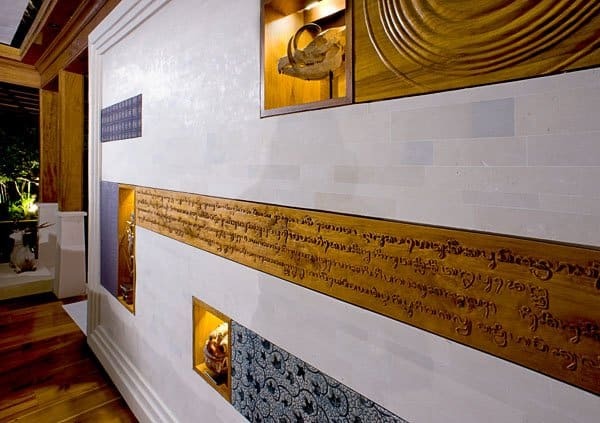 The artwork represents a mixture of primitive art and antiques originating from Indonesia, keeping with the aura of tradition and style. 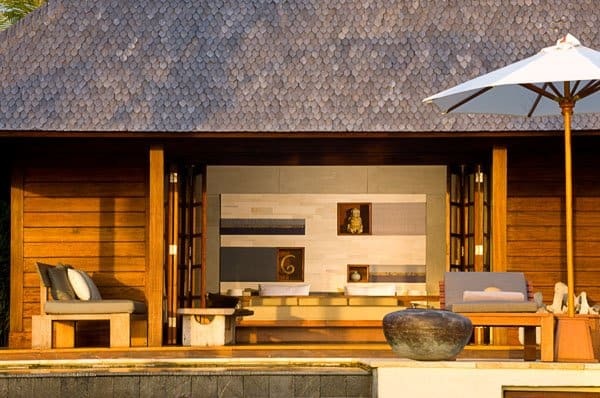 Lotus water gardens flank the streamlined covered wooden walkway leading from the entrance into the main house, forming a straight line of sight leading all the way through the living room, over the central swimming pool, to the horizon. 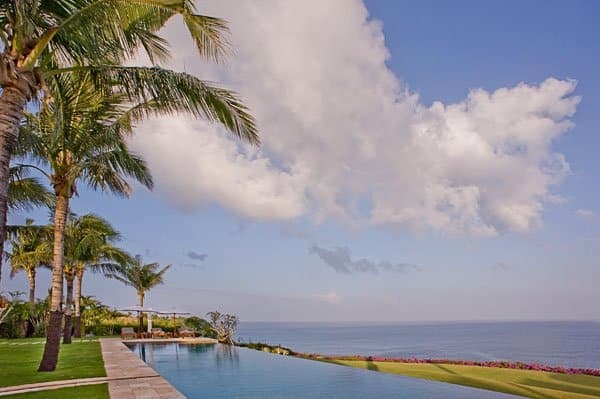 The color of the pool water blends into the backdrop, merging within the mind’s eye, to that point that the pool becomes an extension of the Pacific Ocean that lies beyond it. 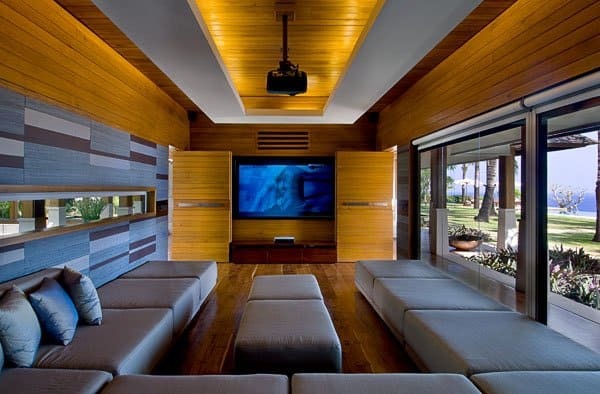 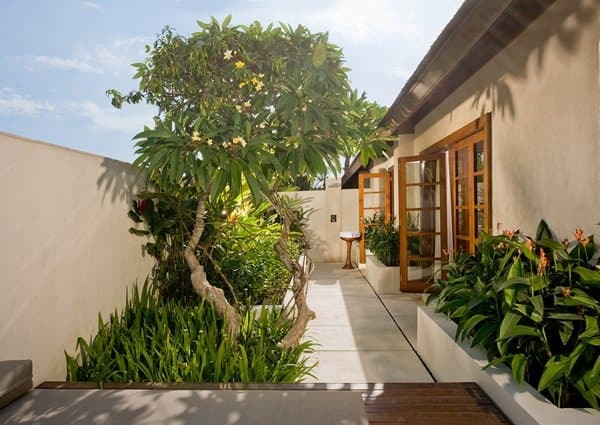 The tropical flora shades the side of the house and creates a privacy screen from parking area and kitchen, while the water-ponds serve to naturally cool the living room with the help of the south-easterly breezes. 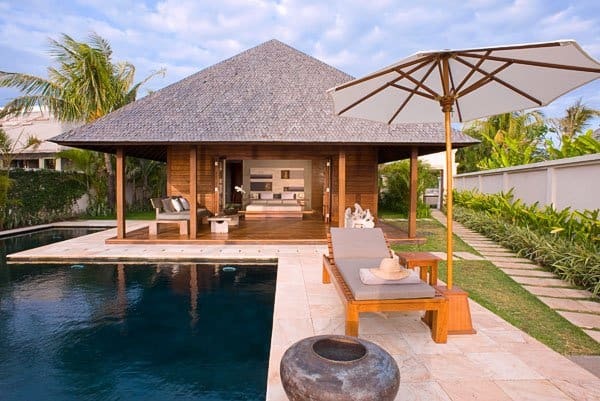 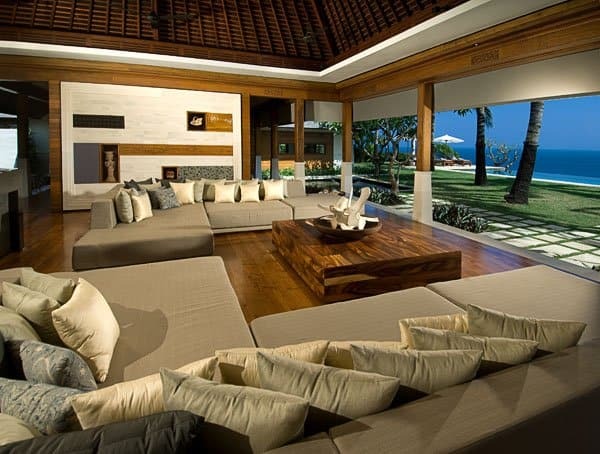 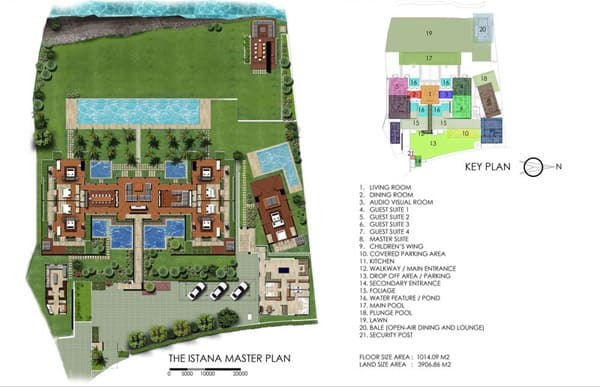 Visit the Istana villa here.